Robin Sangil, 18, was convicted of animal abuse on Wednesday, Feb. 27. An 18-year-old man has been sentenced to three years of probation after pleading guilty to felony animal cruelty. Robin Sangil was convicted of beating three husky puppies to death in a row. Two of the puppies died and another was seriously injured. He purchased two puppies and went to the same breeder for a new puppy by saying it was for family members. A third puppy was also given to him. “One puppy was paralyzed after being slammed into a wall,” said Deputy District Attorney Cherie Somerville. She said Sangil also aided in drowning another puppy and a third puppy sustained several broken bones. The incidents happened over a two-month period last year. A group from the local chapter of Animal Protection and Rescue League gathered outside the court protesting Sangil’s actions. 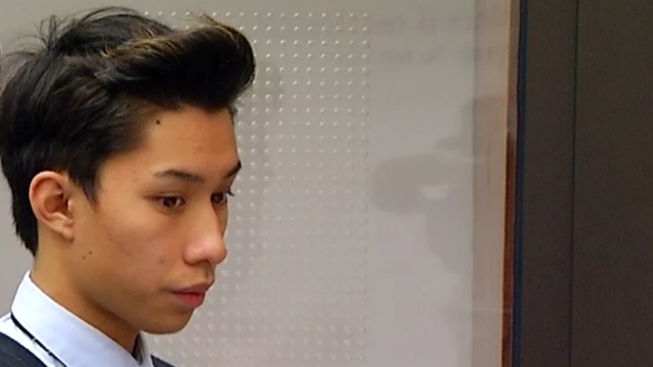 The judge ordered Sangil to take anger management classes and as a term of probation, he is not allowed to own or possess an animal for three years.